Total direct and indirect greenhouse gas emissions from purchased energy at our pulp and paper mills have been reduced by 15 percent since 2010, meeting our 2020 target ahead of schedule. These reductions have primarily been realized by: fuel switching from coal to less carbon-intensive natural gas, increasing on-site cogeneration of electricity and reducing pulp and paper production in alignment with market demand. 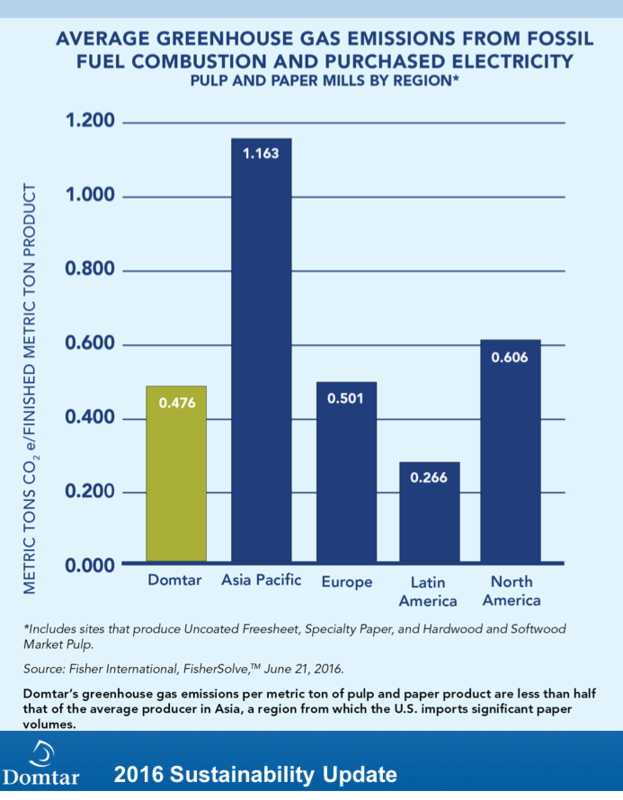 In fact, Domtar’s greenhouse gas emissions per metric ton of pulp and paper product are less than half that of the average producer in Asia, a region from which the U.S. imports significant paper volumes.